Japanese animated film, or “anime” as it is commonly known, has been part of the mainstream entertainment in Japan since the 80s, when they experienced a boom in production. In the following decades, anime became a global phenomenon, and currently over 430 production companies are involved in an industry that has a total market value of $13.5 billion. Almost exclusively based on manga, their print equivalent, anime entail a plethora of genres and elaborate animation, despite being in their majority, at least partially hand-drawn. Here is a list with the best movies of the category, in chronological order. Based on a famous Japanese folk tale, “Taro, the Dragon Boy” takes place in feudal Japan, where Taro, a little boy, lives with his mother in a remote village in the mountains. The other villagers consider him lazy and think he exploits his grandmother, who works hard growing millet. Taro, however, is a kind-hearted boy who just wants to spend time with his animal friends. Eventually, his grandmother tells him the story of his mother, who was transformed into a dragon years ago and lives at the bottom of a lake, and Taro embarks on a adventure to meet her. Drawn in the style of Sumi-e, an ancient Asian type of brush painting, the film bolsters exquisite design, in both the background and the characters. 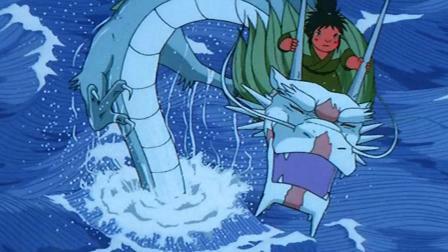 The animation, however, is limited, due to the mediocre budget anime had at the time and the lack of technology. Moreover, some of the grotesqueness that would become one of the distinct features of the genre is evident even here, with Taro frequently roaming around naked and even eating his dragon-mother’s eyes. A thousand years have passed after the “Seven Days of Fire”, a war that destroyed civilization and created the Toxic Jungle, a poisonous forest swarming with giant mutant insects. Humanity now tries to survive in little cities and villages as the “Valley of the Wind”, where Princess Nausikaa is in charge. She tries to protect her people from the jungle and especially from the Ohms, giant trilobite-like creatures, although her goal is to find a way to coexist with them. However, troops from the kingdom of Tolmek arrive at one point, whose purpose is to use a bio-weapon that was implemented during the war, to destroy the Toxic Jungle. Hayao Miyazaki wrote the homonymous manga and directed an anime that entailed a number of the characteristics that would later make him globally famous. Teenage heroes and adult villains, respect towards nature, anti-war messages and pure love are all present here, depicted through a post-apocalyptic environment. 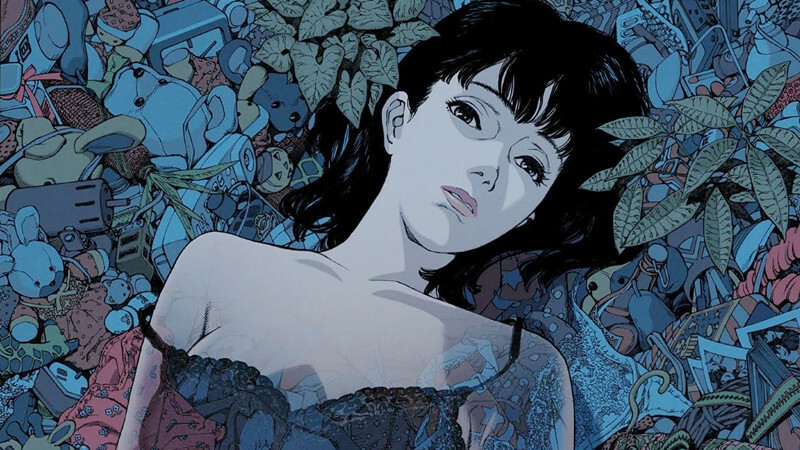 Furthermore, the film entailed exquisite drawing and impressive colors, although the decay of the world where the anime takes place is also evident technically. 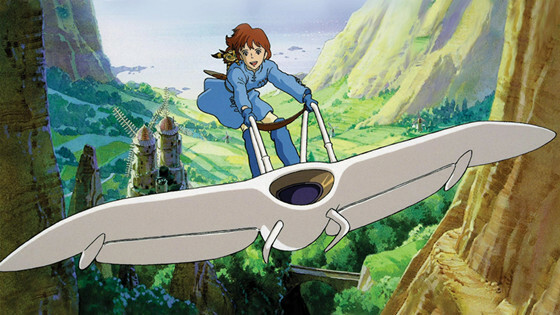 Lastly, “Nausicaä of the Valley of the Wind” included a wonderful soundtrack by Joe Hisaishi and was released with a recommendation from WWF for its ecological messages. Based on the long-running, homonymous series of light novels by Hideyuki Kikuchi, this anime takes place in 12,090 AD, when vampires rule the planet. Count Magnus Lee, a 10,000-year-old vampire has set his eyes upon Doris, a beautiful girl who lives in a village, aspiring to make her his bride. In order to save herself, Doris promises herself to a mysterious being called D, in exchange for the death of Count Magnus. However, before D can achieve his goal, the Count succeeds in kidnapping her, thus resulting in D invading his castle. 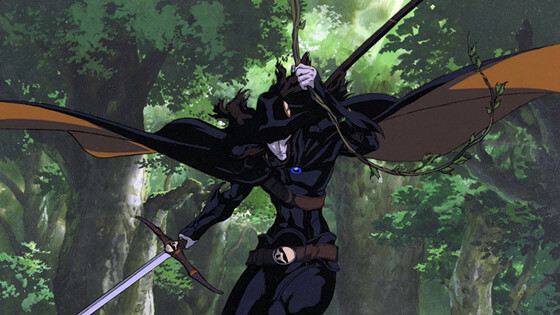 One of the first anime films released outside Japan, “Vampire Hunter D” capitalized on the new at the time, OVA (straight to video) format, to incorporate the graphic violence and horror themes that could not have skipped censorship otherwise. Furthermore, it entailed a mixture of Western, gothic horror and post-apocalyptic elements, targeting in that fashion the male teenager/adult category instead of family audiences, which was the case with anime up to that point. With Yoshitaka Amano (the “Final Fantasy” games) acting as character designer and Toyoo Ashida (“Fist of the North Star”) as also the animation director, “Vampire Hunter D” resulted in an artistic masterpiece of the grotesque. In an alternate world, a war is impending among two bordering nations: Kingdom of Honneamise and “The Republic”. Shirotsugh Lhadatt is recruited in the former’s space programs, which, due to its lack of practical usage, both the public and its members consider a waste of money. Even Shirotsugh thinks the same, at least up to the point where one of his colleagues dies and he is acquainted with a young religious woman, named Riquinni Nonderaiko, whose passion for life rubs off on him, making him passionate about his line of work. Furthermore, he volunteers to be the first pilot of the prototype space warship his unit is set to manufacture, and begins the training program with zeal. However, a number of issues arise that eventually result in Shirotsugh doubting his decision. Hiroyuki Yamaga presents a number of questions, including the cost of man’s desire to conquer nature and the value of chasing your own dreams despite the sequences. Furthermore, he entailed a number of comic episodes that resulted, along the sociopolitical context, in a highly entertaining film. In the technical part, the film implements a mixture of the old and the contemporary that is presented from the astronauts’ uniforms to the various buildings, and results in an original style. Moreover, the colors are magnificent, the motion smooth and the characters blend elaborately with the environment in an anime that could stand technically even among contemporary productions. 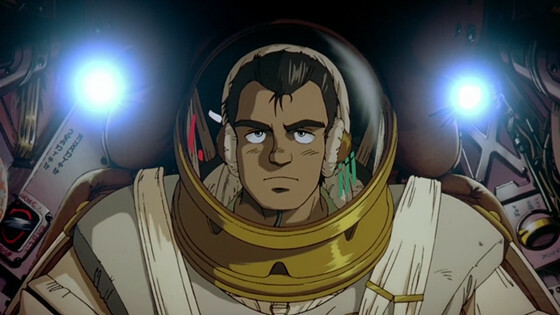 Katsuhiro Otomo’s magnum opus, based on his own manga that stretches for more than 2000 pages, is one of the landmarks of the genre, being universally acclaimed and having garnered a large cult following. Neo Tokyo is a post-apocalyptic megalopolis that was built near the remains of the old city, that was destroyed during World War 3 by a nuclear attack. There, a motorcycle punk gang headed by Kaneda is in constant fights with another gang, whose members call themselves “Clowns”. 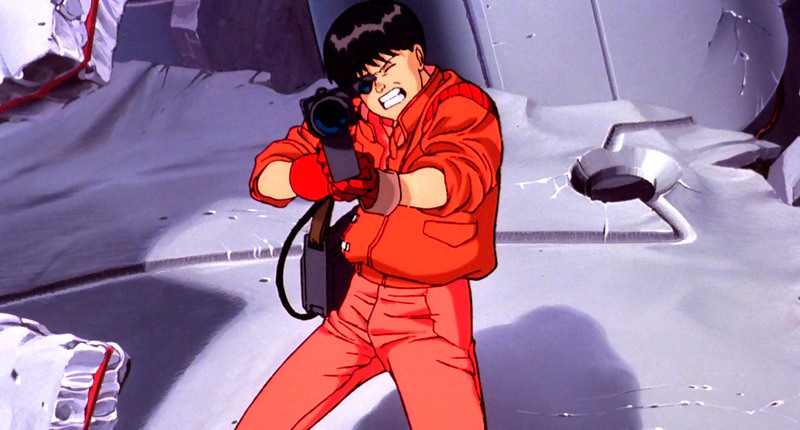 Unfortunately, Kaneda and his comrades find themselves in the wrong place at the wrong time, in an incident that includes government officials and some mysterious creatures. Furthermore, the government later arrests Tetsuo, a member of the gang. The film is the epitome of post-apocalypse, one of the genre’s most cherished themes. Otomo describes a dystopian reality where gang wars, criminality, abandonment, fear and death synthesize the environment of a decaying metropolis. Completely hand-drawn, “Akira” is nevertheless an audiovisual masterpiece, incorporating exquisite animation and a vast palette of colors to depict the futuristic and industrial environment of Neo-Tokyo. 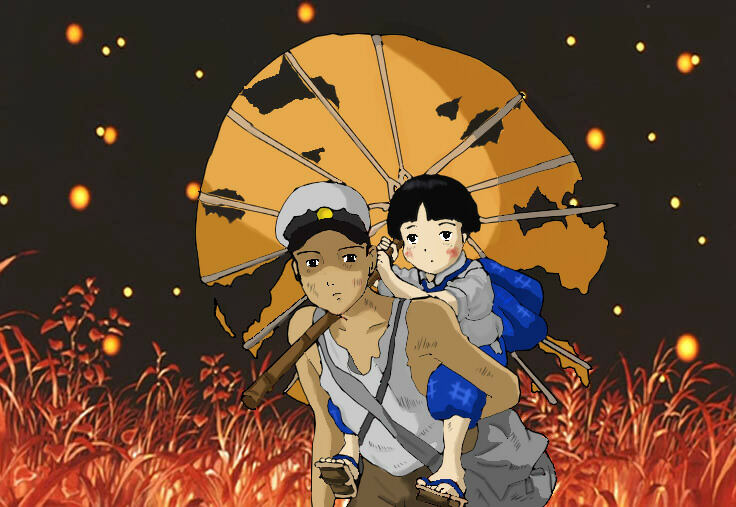 The anime takes place in a small city during World War 2, where a boy named Seita, his mother, and his little sister try to make a living, while their father fights in the Pacific. The bombings and the subsequent evacuations are an everyday occurrence, the people however, still believe in the final victory of Japan. Unfortunately, the reality of the war soon crashes their hopes and the situation is even worse for Seita, who now has to take care of his little sister. Isao Takahata’s film is based in the homonymous semi-autobiographical short story by Akiyuki Nosaka, with the director retaining the horrible circumstances of the war and the tragic episodes in the life of the writer, thus resulting in a highly dramatic production. The drawing and animation are chiefly characterized by great attention to detail and realism, two of the trademarks of Studio Ghibli. Furthermore, the feelings and the thoughts of the characters appearing in the film are elaborately presented, in one of the early masterpieces of the genre.